Little known colored gemstones like Andalusite, Iolite, and Sphene are special because they exhibit many autumn colors. Any time of year is beautiful, but the colored leaves of fall, the light on the meadow grasses, and the multi-shades of blue in lakes and rivers are a feast for the eyes. What we most love about colored gemstones is. . .well, their colors. We love a rich emerald green and a luscious ruby red. But Sphenes are shades of green, yellow, and orangy-brown ALL AT THE SAME TIME! Andalusite and Iolite are other pleochroic stones, showing multiple colors in their face-up positions. Somehow these lesser known stones seem to beg for recognition at this time of year. 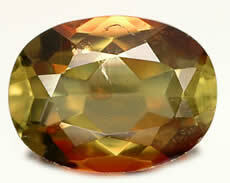 Andalusite was named after a region in Spain where it was first discovered. It shows colors of yellow-green, green, and brownish-red. It is fairly hard, 7.5 on the Mohs’ scale, so it’s suitable for jewelry. Besides Spain, it’s mined in places like Australia, Brazil, and Canada. 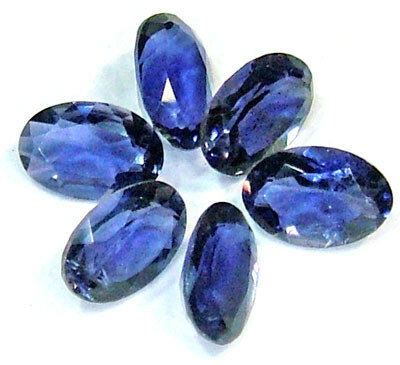 Iolite , also called Cordierite, shows colors of blue, violet, and brown. It’s also quite hard, between 7-7.5 on the Mohs’ scale, and it is found in places like Myanmar, Brazil, India, and Madagascar. 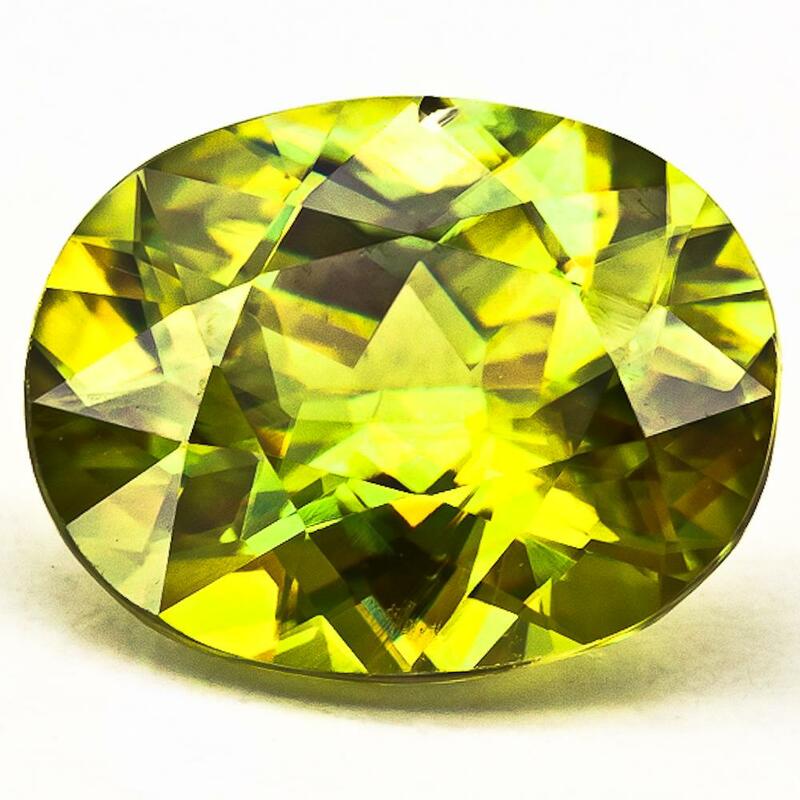 Sphene, also called Titanite, shows intense fire when it’s cut correctly. It is not as hard as the others, registering only a 5-5.5 on the Mohs’ scale. Because of this, sphenes are beautiful in earrings or pendants, but are not as suitable for rings or bracelets. Deposits are found in Myanmar, Brazil, Austria, and Sri Lanka. Why don’t we see these gemstones in jewelry stores? Is it because they’re rare, expensive, or not durable? I think it can be traced to a simple circle–customers don’t know about these gems so there’s no demand for them so most jewelry stores don’t stock them so customers don’t know….and so on and so on. At Dearborn Jewelers, owner Teri Allen and her husband, Matt, travel each year to the largest gem show in the world, the Tucson Gem Show, buying interesting gemstones for their customers to set in personal pieces of jewelry. Jewelry should always remind you of a special time, place, or person. 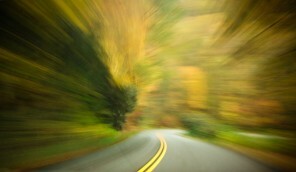 If autumn colors hold deep meaning for you, think about sphenes, iolites and andalusites. 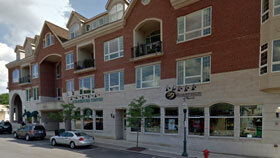 Dearborn Jewelers can help you keep autumn close.